Start your search here if you are looking for Feldenkrais Audio Material. There are Awareness Through Movement (ATM) lessons on CDs you can purchase and practice at home. It’s a good way to start with The Feldenkrais Method and want to decide if you want do join a class near you. Or are you looking for gift ideas for Feldenkrais practitioners or students? These Feldenkrais audio materials might be exactly what you are looking for in order to create happy faces not only under the Christmas tree. The Feldenkrais Method gains publicity and the amount of books and recordings is growing. Still it might be possible that your favourite listen about The Feldenkrais Method is missing. In that case please drop me a line via info@movingexperience.eu. I am happy to add more Feldenkrais recordings to this list. If you are selling/recording Feldenkrais ATM lessons I am happy to add yours in exchange for a back link and a LIKE on Facebook (Moving Experience). Thank you in advance. by Tiffany Sankary and team. 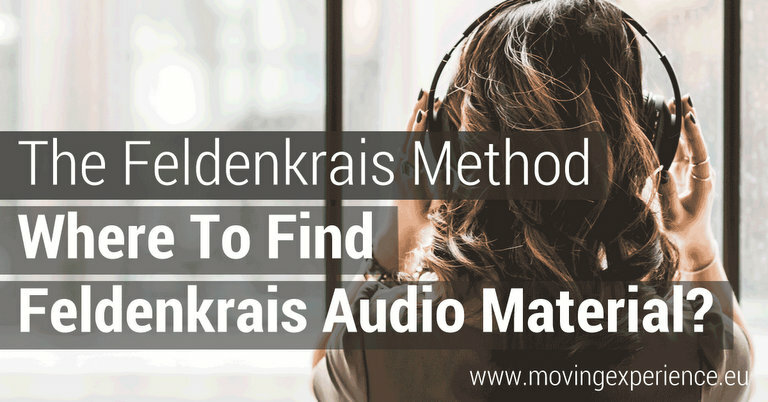 Is your favourite Feldenkrais audio material missing? Have you recorded Awareness Through Movement lessons yourself and would like me to add them to this list? I am happy to add yours in exchange for a back link and a LIKE on Facebook (Moving Experience). Thank you in advance. Drop me (Bärbel Rücker) a line via email info@movingexperience.eu. Ist deine Lieblings ATM noch nicht auf dieser Liste vertreten? Hast Du vielleicht selber Awareness Through Movement Lektionen aufgenommen und würdest sie gerne auf dieser Liste wiederfinden? Schreibe mir (Bärbel Rücker) eine Email mit den nötigen Information an info@movingexperience.eu.